Parents -- Please contact your student's school to help you create your PowerSchool Guardian account. 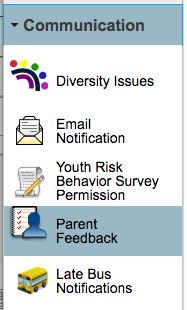 Click HERE for fillable access account request for parent or legal guardian. Click HERE for fillable access account request submitted by parent or legal guardian on behalf of non-parent or non-guardian. Parents - Please take a moment to provide feedback on your student's teachers using the link shown below in your parent PowerSchool account. Input received before January 11, 2019 will be considered during the teacher’s annual evaluation. Click HERE to Read More.